Top Seventh-day Adventist leaders are experiencing the church’s health message in a whole new way as they do blood tests, adopt a special diet and exercise program, and attend lifestyle seminars on the Caribbean island of Jamaica. 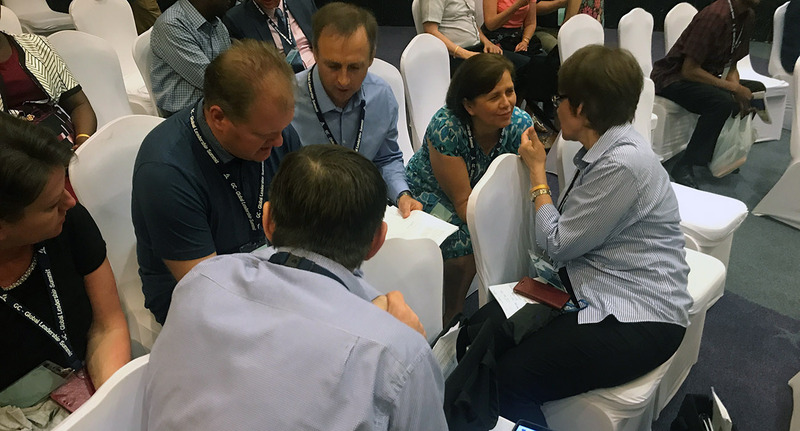 The 12thannual Global Leadership Summit, themed “Wholeness in Christ: Mission Vision in Action,” seeks to reaffirm world church leaders’ commitment to follow a healthy lifestyle and to equip them to share good health practices in cities, organizers said. 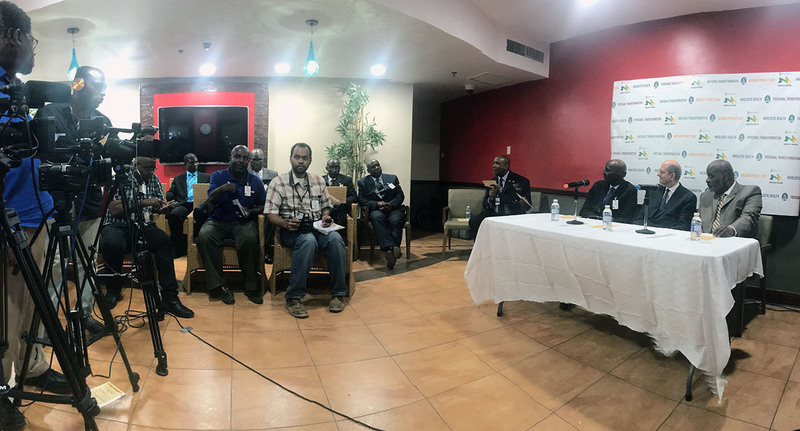 The weeklong summit opened around daybreak at 6:30 a.m. Feb. 3 with leaders and spouses lining up to undergo medical checks in a hotel conference hall in Montego Bay. 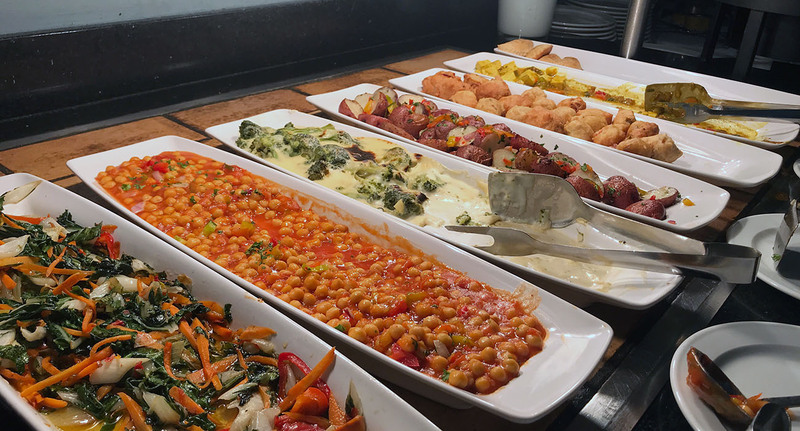 After the medical checks, delegates headed off for a specially prepared vegan breakfast buffet that included yellow curry with tofu, chickpeas, steamed spinach, vegetable empanadas, fresh fruit, hot and cold cereals, and soy and almond milk. Church dieticians worked with hotel chefs to prepare vegan meals for the duration of the event. The summit’s daily program is packed with seminars on topics such as nutrition, sleep, weight management, and heart disease. Between seminars, delegates engage in five-minute workout sessions that include stretches, crunches, and other exercises. In the evenings, many delegates are preaching at evangelistic meetings. About 500 meetings are being held at the end of an island-wide outreach initiative that had a major health component. The 196 delegates — representing the General Conference, all 13 world divisions, and a number of other church entities — will undergo a final medical check to measure changes to their health on Feb. 10, the last day of the summit. Peter N. Landless, health ministries director for the world church, urged attendees to use the week to get healthier and grow closer to God. Adventist Church president Ted N.C. Wilson praised the summit as an opportunity to put a renewed emphasis on the church’s health message around the world. “This is going to be an exceptional experience,” he said at a news conference with about a dozen journalists from Jamaican newspapers and television channels upon his arrival at the Montego Bay airport. He spoke beside Everett E. Brown, president of the Jamaica Union Conference, and Elie Henry, president of the Inter-American Division, whose territory includes Jamaica. Wilson explained that Jesus made health a major focus of His earthly ministry and that the Adventist Church seeks to follow His example. Opening a Bible to Matthew 9:35, he read, “Then Jesus went about all the cities and villages, teaching in their synagogues, preaching the gospel of the kingdom, and healing every sickness and every disease [i]among the people” (NKJV).